Here is a masterful prayer. There is no doubt that we could learn much from it. But I want to focus on just four things: that the requests are specific and definite; that His prayers are purposeful; that they are reflective; and that, over all, they are conversational. Jesus’ prayers were purposeful. Everything He prayed for had a correct motive or purpose. In this prayer, when He prayed for His own glory—“Father, the hour has come. Glorify Your Son…”—the motive ultimately was so that His Father would be glorified; for He prayed, “…that Your Son also may glorify You.” It follows, therefore, that if He was honored in His death by giving eternal life to as many as the Father gave Him (v. 2), that would honor the Father. 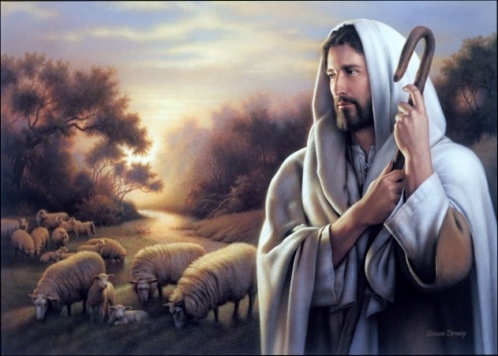 Likewise, when Jesus prayed, “Keep them [His disciples] in thy name,” the reason was so that they would eventually be one, as He and the Father were one (vv. 11-12). Also, when He prayed (in verse 24), that “they [all believers] may be with Me where I am,” the reason here was so that they (we) would behold His glory. And I believe “behold” means more than just to see and observe. I think it means to participate in and enjoy. Yes, the reason He wants us to be with Him, and the reason He prayed for us to be with Him, was so that we can see and also participate in and enjoy His glory and honor. His prayers here are also reflective; that is, they are dependent on certain works that have been done. Hence, throughout this prayer He makes mention of His and His Father’s work. Here are a few clippings from the prayer: “You have given Him [the Son] authority over all flesh” (v. 2); “I have glorified You on the earth; I have finished the work which You have given Me to do” (v. 4); “I have manifested Your name to the men whom You have given Me out of the world” (v. 6); “I have given to them the words which You have given Me” (v. 8). And so it goes throughout the prayer. Accordingly, in our prayers, we must also mention the works of Jesus and the Father and the Holy Spirit, and how we have done works in Jesus name—so that our prayers become valid, with a sound foundation. For if there are not past works, we can’t really pray with any claims, hence, with any hope or confidence. Therefore, at the mention of past works in our prayers, especially the works of God, we bring power, hence, confidence and faith to our prayers. Lastly, this prayer (and all of Jesus’ prayers) was conversational. He not only made requests to His Father, but He made conversation. He prayed as one would talk to another—to a friend. Therefore, in between His requests were statements of fact made to flesh out a conversation, such as, “Father, the hour has come” (v. 1), and, “and this is eternal life, that they may know you, the only true God” (v. 3). And so it seems that whatever He was thinking He prayed in words. Let that be your style of prayer also, for God wants to hear what you’re thinking, not just a list of what you want. 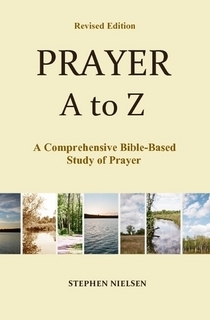 This entry was posted in Part 5, Ezra to John, Prayer A to Z Excerpts, Survey of Prayer and tagged how to pray, Jesus, Jesus Christ, Jesus' example of prayer, Jesus' prayers, John 17, prayer. Bookmark the permalink. Thanks, Stephen. This is a very insightful, helpful, practical review of our Lord’s prayer in John chapter 17. This is what should be taught in Bible colleges and seminaries — rather than church marketing techniques and fund-raising tricks. Isaiah 55:10-11 gives us an idea of how God is employing your worthy website for the spreading of God’s truth to those who have eyes to see. Thanks for those Isaiah verses. I don’t always realize how God is using this website.